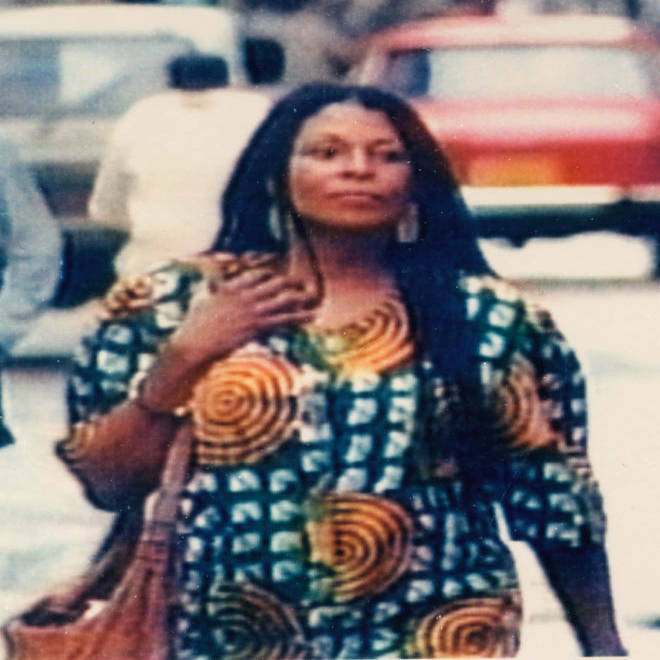 This is an undated picture provided by the New Jersey State Police showing Assata Shakur, the former Joanne Chesimard, added Thursday to the FBI's list of most wanted terrorists. The FBI put a woman on its list of most wanted terrorists for the first time Thursday — a 1970s black radical who authorities say shot a New Jersey trooper, made a daring daylight escape from prison and fled to Cuba. The agency and the state also doubled the bounty for her capture to $2 million. The announcement was the latest turn in the 40-year saga of Joanne Chesimard — also known as Assata Shakur — who was part of the Black Liberation Army and became one of the most notorious fugitives in New Jersey history. “While we cannot right the wrongs of the past, we can and will continue to pursue justice no matter how long it takes,” said Aaron Ford, special agent in charge of the FBI’s Newark office. Chesimard was found guilty of murder in the killing of Trooper Werner Foerster, who was shot dead on May 2, 1973, after stopping her and two associates. The trooper was finished off with his own gun, and the FBI says Chesimard’s gun was found at his side. She was convicted in 1977 and sent to prison, but she broke out two years later with the help of accomplices from the BLA and the Weather Underground, a left-wing radical organization. Chesimard lived in safehouses before fleeing to Cuba, where she took the Shakur name and was shielded from the United States by the communist government of Fidel Castro. Authorities took note Thursday of the 40th anniversary of the trooper’s killing and said Chesimard’s capture would close a wound for New Jersey state police and prove that they will not give up when one of their own is slain. In Cuba, Chesimard has mostly disappeared from the public eye. Her story gained prominence again in 1998, when Pope John Paul II made a visit there. There a television reporter found Chesimard, who claimed she was the victim of a racist prosecution. The governor of New Jersey was furious, and the state police wrote to the pope to ask him to put pressure on Castro to return Chesimard. But frosty relations between the United States and Cuba have frustrated American efforts to get her back ever since. Ford said Chesimard “remains an inspiration to the radical, left-wing, anti-government, black separatist movement.” He said there was no specific new threat that led the bureau to add her to the list. Chesimard, who is the step-aunt of late rapper Tupac Shakur, is the 46th person added to the list of most wanted terrorists since President George W. Bush established it after the Sept. 11 attacks. Osama bin Laden was on the list until he was killed in 2011.